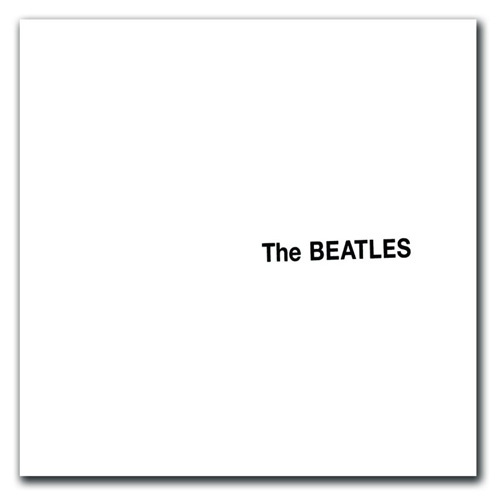 THE BEATLES, also known as THE WHITE ALBUM, is the ninth studio album by the English rock band the Beatles, released on 22 November 1968. A double album, its plain white sleeve has no graphics or text other than the band’s name embossed, which was intended as a direct contrast to the vivid cover artwork of the band’s previous LP SGT.. PEPPER’S LONELY HEARTS CLUB BAND. 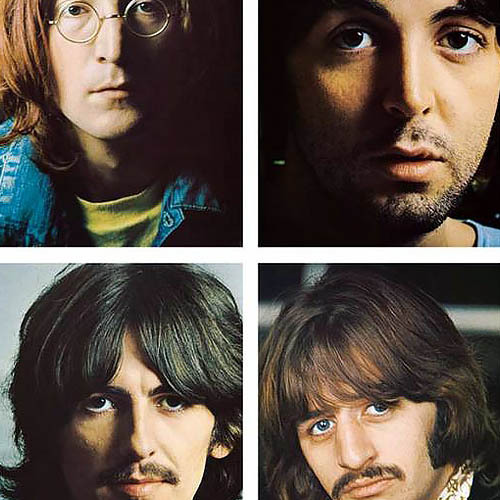 Although no singles were issued from THE BEATLES in Britain and the United States, the songs “Hey Jude” and “Revolution” originated from the same recording sessions and were issued on a single in August 1968. 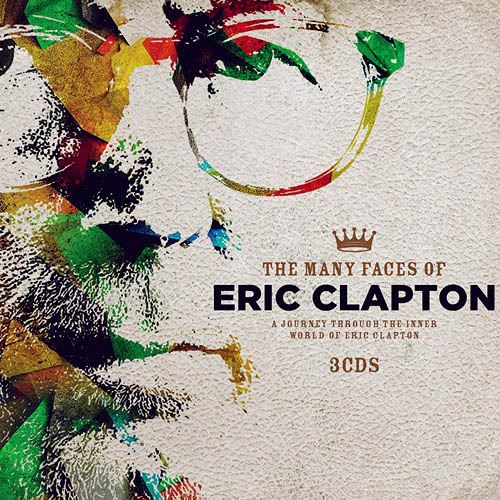 The album’s songs range in style from British blues and ska to tracks influenced by Chuck Berry and by Karlheinz Stockhausen. Most of the songs on the album were written during March and April 1968 at a Transcendental Meditation course in Rishikesh, India. 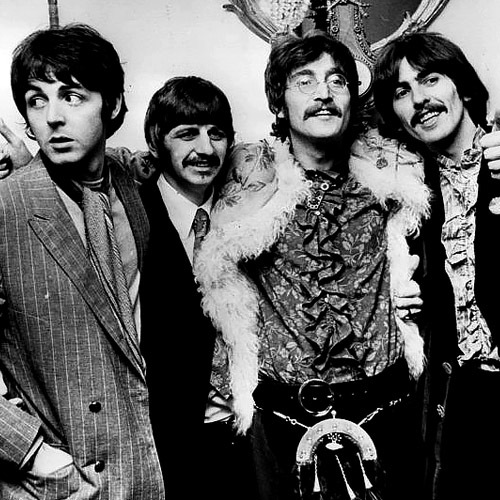 The group returned to EMI’s Abbey Road Studios in London at the end of May to commence recording sessions that lasted through to mid-October. During these sessions, arguments broke out among the foursome over creative differences. Another divisive element was the constant presence of John Lennon’s new partner, Yoko Ono, whose attendance in the studio broke with the Beatles’ policy regarding wives and girlfriends not attending recording sessions. 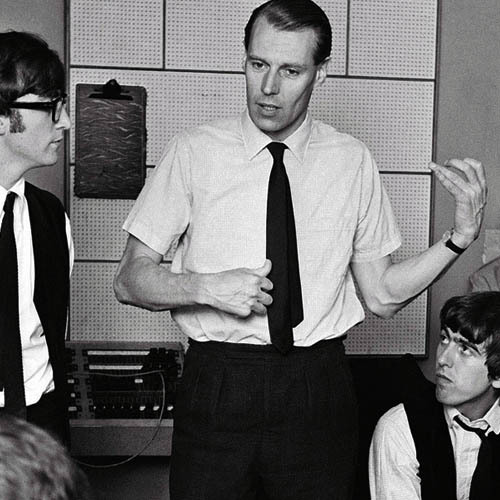 After a series of problems, including producer George Martin taking a sudden leave of absence and engineer Geoff Emerick suddenly quitting, Ringo Starr left the band briefly in August. 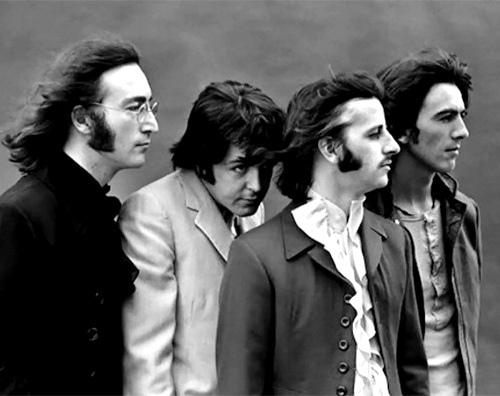 The same tensions continued throughout the following year, leading to the break-up of the band by 1970. 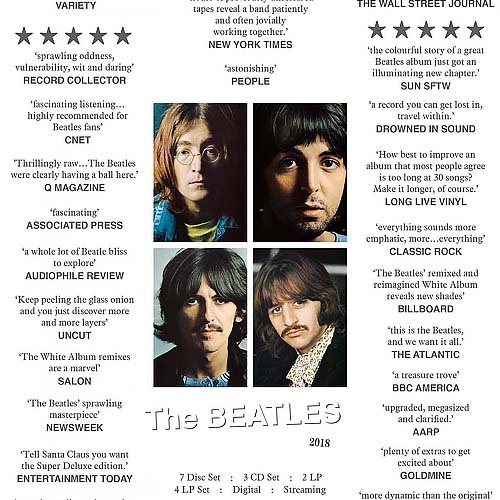 On release, THE BEATLES received favourable reviews from the majority of music critics, but other commentators found its satirical songs unimportant and apolitical amid the turbulent political and social climate of 1968. The band and Martin later debated whether the group should have released a single album instead. Nonetheless, THE NBEATLES reached No. 1 on the charts in both the United Kingdom and the United States, and has since been viewed by some critics as one of the greatest albums of all time. 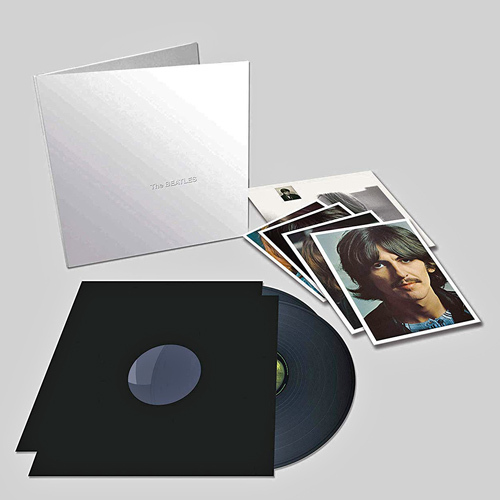 This is the first time THE BEATLES (WHITE ALBUM) has been remixed and presented with additional demo recordings. 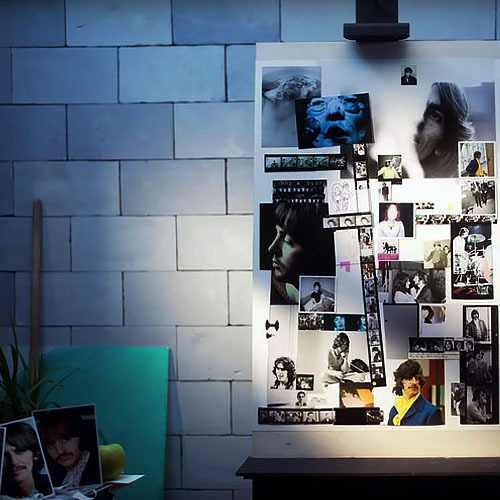 To create the new stereo audio mixes for THE WHITE ALBUM, Giles Martin and Sam Okell worked with an expert team of engineers and audio restoration specialists at Abbey Road Studios in London. 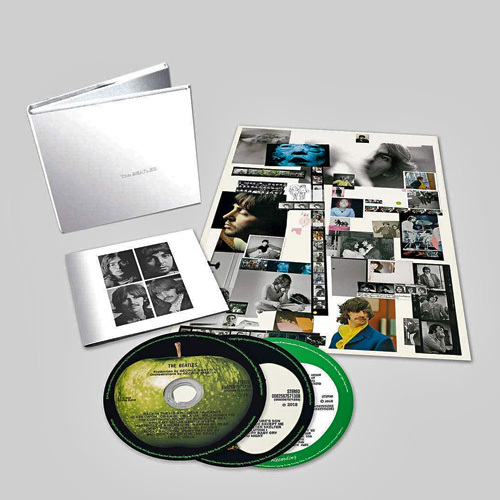 This 4LP Deluxe WHITE ALBUM release includes Martin’s new stereo album mix, sourced directly from the original four-track and eight-track session tapes. Martin’s new mix is guided by the album’s original stereo mix produced by his father, George Martin. Half-speed cut by Miles Showell at Abbey Road Studios. During the last week of May 1968, The Beatles gathered at George’s house in Esher, Surrey, where they recorded acoustic demos for 27 songs. 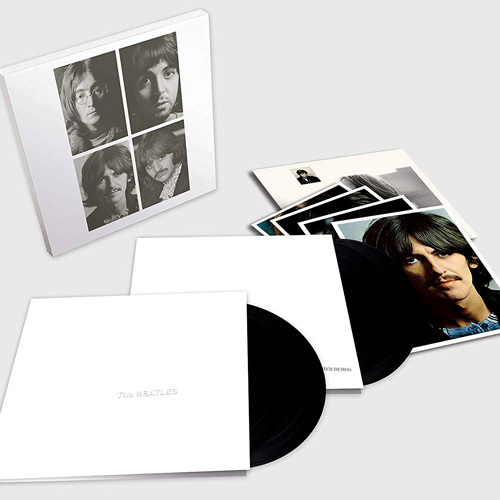 Known as the Esher Demos, all 27 recordings are included in the 4LP Deluxe package, sourced from the original four-track tapes. 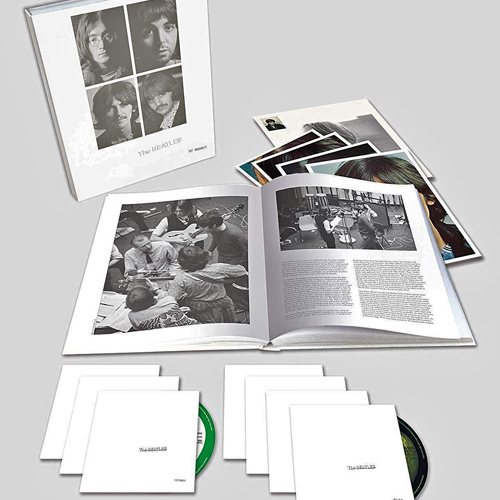 Presented in a lift-top box with a four-page booklet, the limited edition Deluxe 4LP vinyl set presents the 2LP album in a faithful, embossed reproduction of its original gatefold sleeve with the fold-out poster and portrait photos, paired with the 2LP Esher Demos in an embossed gatefold sleeve.